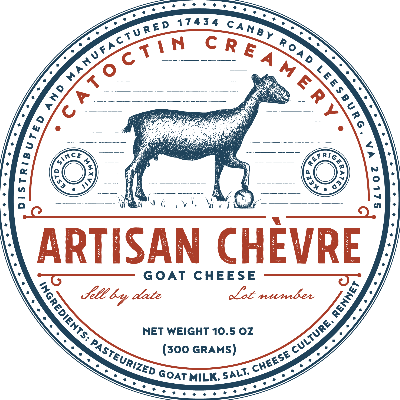 We are a small family owned farm that produces artisan goat cheese in Leesburg, VA. In addition, we make goats milk caramel and goats milk soap from our milk. We use non gmo feed only. We buy our Alfalfa from a local farmer. In addition, all the additional items that we add to our cherve come from local farms, including a honey vendor, whose profits all go towards bee conservation. Our team consists of all our lovely goats. 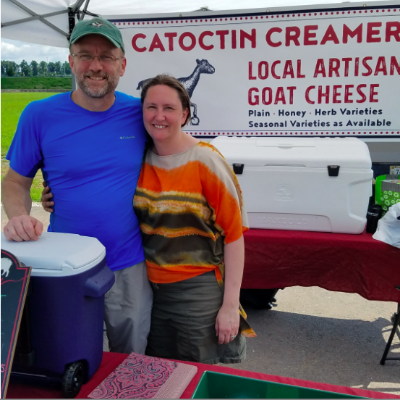 Erin Walter and Rob Hansen own and manage the farm, produce all the cheese and care for the animals. We often employ help during the summer season for work on the farm, as well as help at our farmers markets. During the season we also have the help of Erin's mother, Sally who lives at the farm. In addition, we have many family members who come for extended periods of time to help during the season, including kidding season.